Um. So. Yea. UPS is pretty amazing. 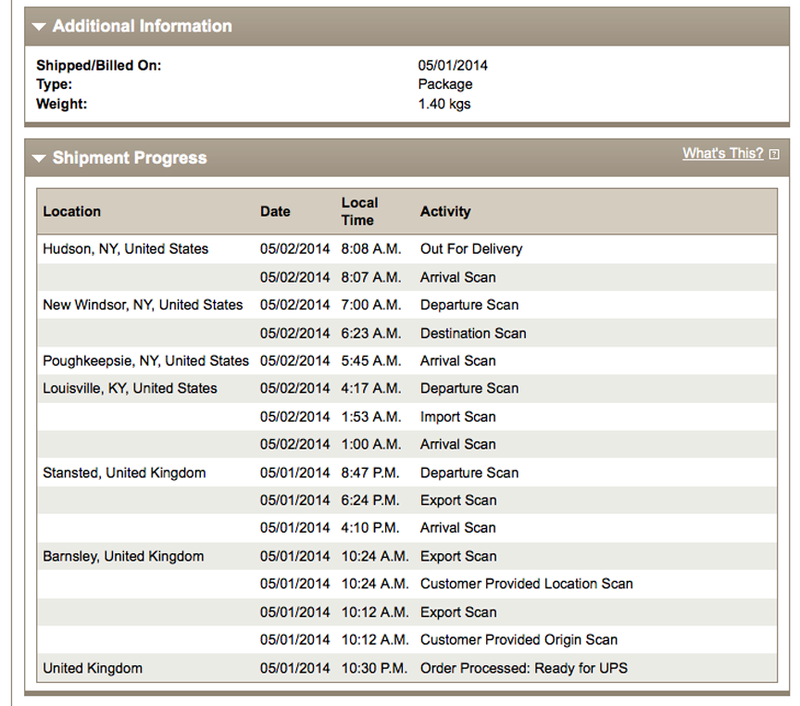 My package left the UK at 10:30pm and arrived in New York and my waiting arms at 12 the next day. Props to Asos for all that free shipping. The suit didn’t fit though or more precisely it fit a lot like… well… lederhosen. 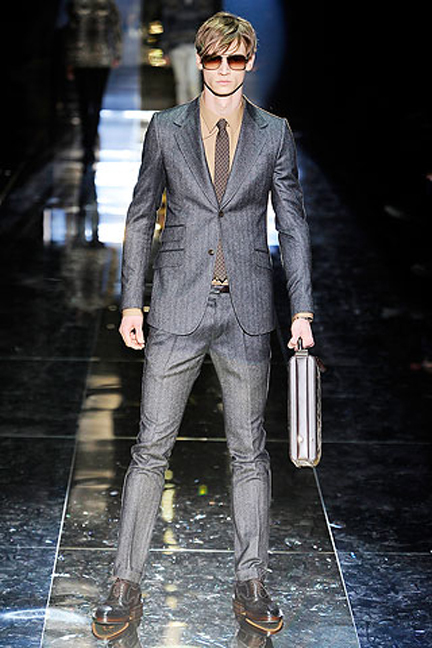 A super fitted suit always seems like a good idea in theory and on the runway (or maybe it doesn’t). In reality though, the stovepipe pant makes a man look like he’s gained an extra 15 and doesn’t realize it. The jacket bowed out in all the wrong places and the pants looked a lot like leggings with a pinstripe. I haven’t shopped for men’s suiting in about 10 years or so and I had about as much fun this time around. It’s just impossible. Everything looks the same. Black /Navy/Grey. Jacket/Shirt/Pants. Blah/Blah/Blah. The other problem is fit. In response to the country’s growing waistlines most suits at traditional retailors and chain stores are cut husky and too wide for a slimmer man. When we went to get a suit fitted at Men’s Wearhouse the assistant declared Brian a “slim”. Duh. So that’s what I tried. And it looked an awful lot like that guy. Marc Anthony has a “modern” fit collection that’s even tighter. Below, Brian in his quickly shipped but ultimately returned suit.